On October 1st , 2016 a team of Mississauga youth installed a Pollinator Youth Rain Action Garden at Sheridan Nurseries Etobicoke/East Mississauga Garden Centre! It took nine hours of hard work, but it was definitely worth the effort. Click here for a video segment of the project. 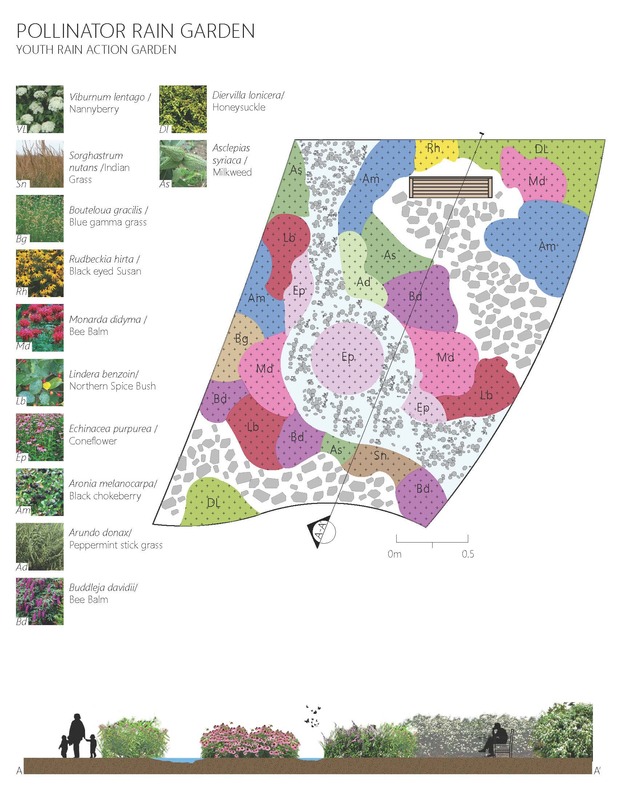 The designs for the Youth Rain Action Garden! 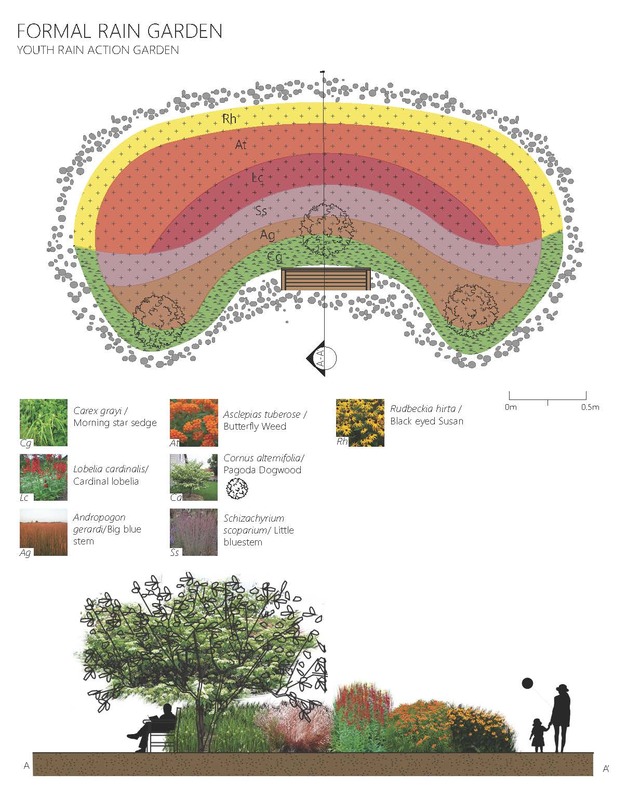 Youth created three different rain garden designs. Over 200 community members voted on their favourite garden. It was a close race, but the Pollinator Garden came out in the lead! What is the Youth Rain Action Project? When it rains in naturalized areas approximately 50% of the water is absorbed into the ground, where it recharges groundwater stores. In urban centres however, we have changed the way water flows. By covering land in impermeable surfaces, such as pavement, cities prevent water from returning to the ground, and instead direct the water into our streams and lakes through storm sewers. This change in the natural water cycle increases the risk of floods, and negatively impacts water quality. 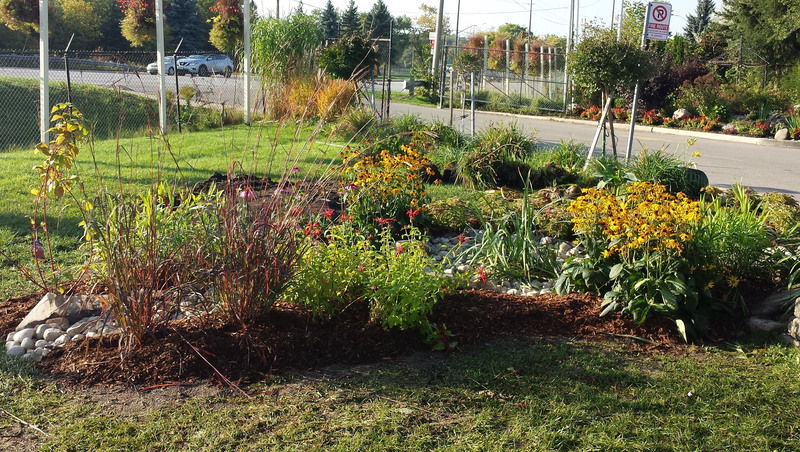 This summer a group of dedicated youth took action by designing and installing a rain garden at Sheridan Nurseries, in the Burnhamthorpe and Dixie neighbourhood. The rain garden absorbs water flowing over the parking lot at Sheridan Nurseries, and prevents excessive runoff from flowing into nearby Etobicoke Creek. Throughout the summer, participants attended workshops and learned from experts in the fields of landscape design, stormwater management, and sustainable technologies. 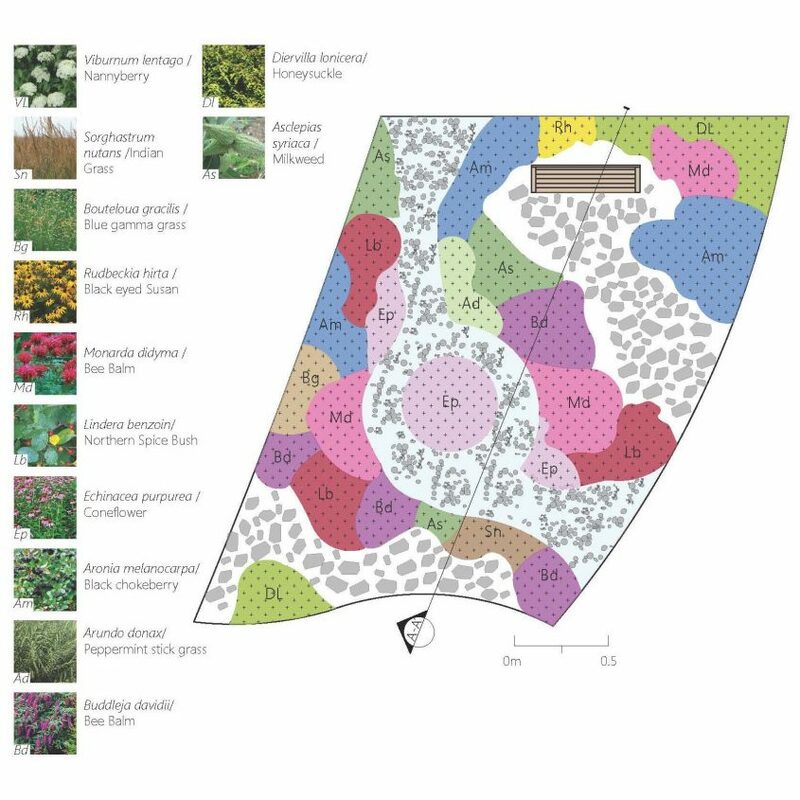 They then applied their new knowledge to coming up with three potential rain garden designs. 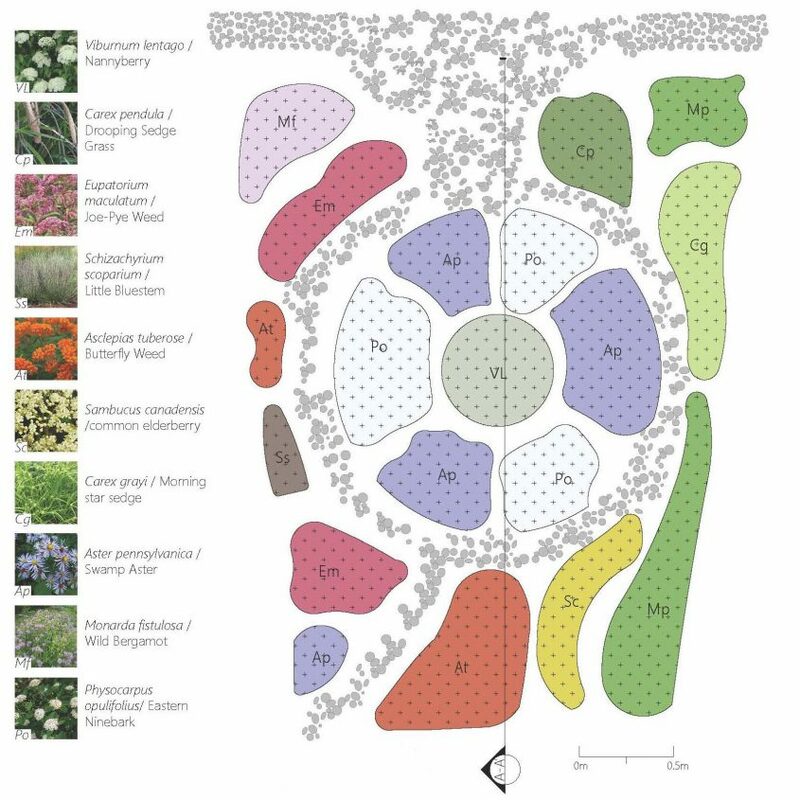 A winning garden was selected by community members and installed by participants in the fall. But the adventure doesn’t stop there. To encourage further change in the community, participants also created educational signs for the rain garden educated guests at a celebration event. 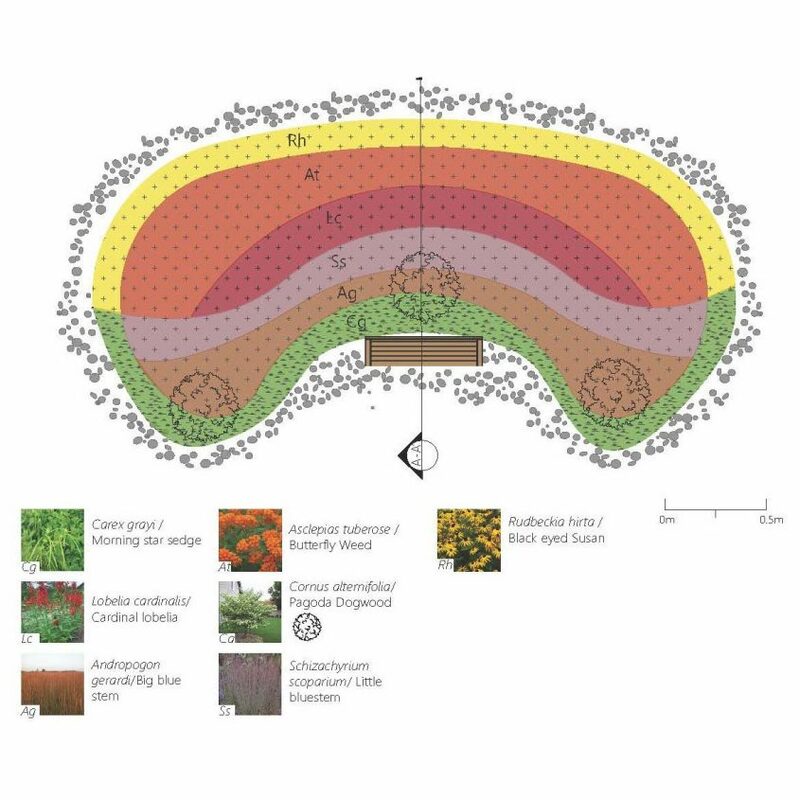 Let’s Design a Rain Garden! 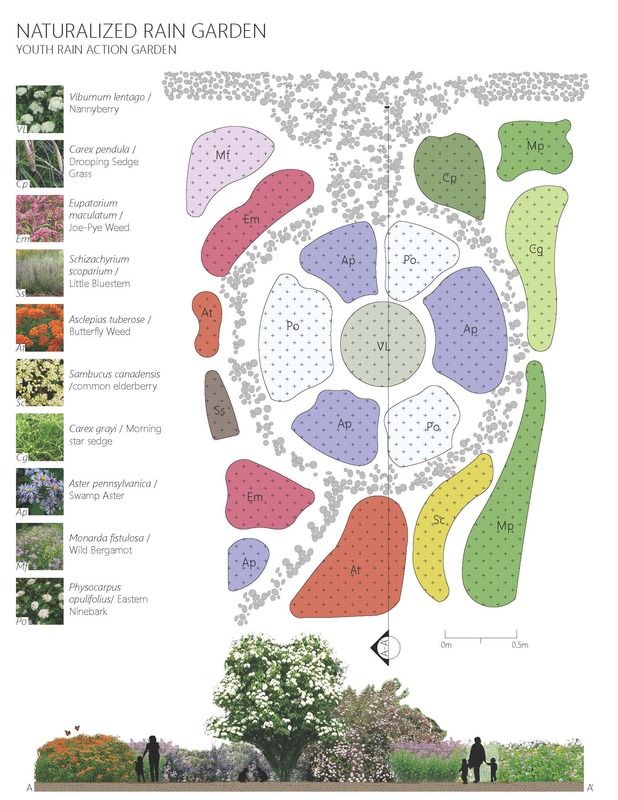 The Winning Garden – Pollinator Garden! If you would like to learn more about the Youth Rain Action project, please contact Kelven Goodridge at kgoodridge@ecosource.ca.